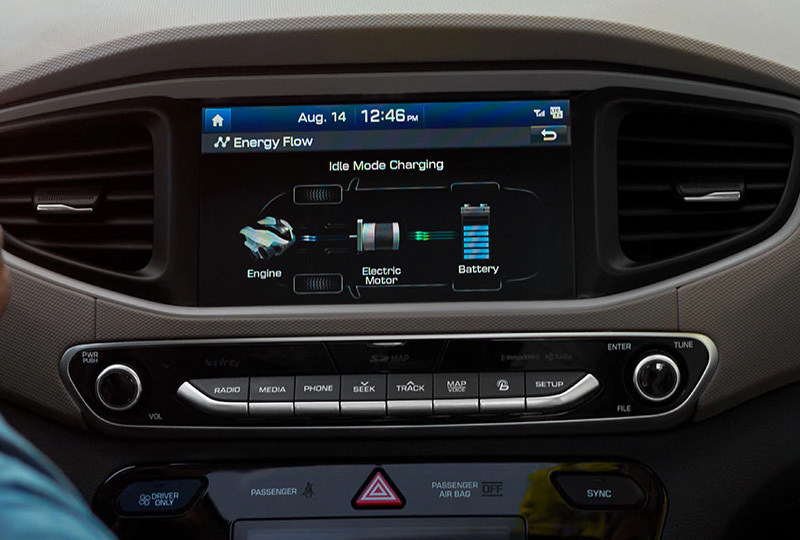 The 2019 Hyundai IONIQ Plug-In Hybrid for sale at Hyundai of Greer in South Carolina - near Greenville, Spartanburg, Simpsonville, and Easley - offers an environmentally conscious and comfortable drive. The 1.6L inline 4-cylinder engine and plug-in permanent magnet synchronous electric motor provide a combined 139 hybrid horsepower. Along with the standard 6-speed EcoShift® dual clutch transmission with SHIFTRONIC,® you'll get a driving range of up to 630 miles and an all-electric range of as much as 29 miles,1 which covers many daily commutes. Wherever you go, premium cloth seating surfaces with heated front seats and dual automatic temperature control give you an enjoyable ride every time. A leather-wrapped steering wheel and shift knob bring an atmosphere of refinement to the interior, but thankfully without the luxury price tag. Should you find yourself in need of extra space for larger items, you can lay down all or part of the 60/40-split folding rear seatback to accommodate your belongings. Outside, active grille shutters, LED taillights, and LED daytime running lights enhance the striking design that will catch the eyes of everyone you pass. Now is the best time to buy a new Hyundai! 2019 models are here and the savings are unbelievable. Take a test drive today to see why so many people choose Hyundai. Visit our showroom located at 14435 East Wade Hampton Boulevard in Greer. 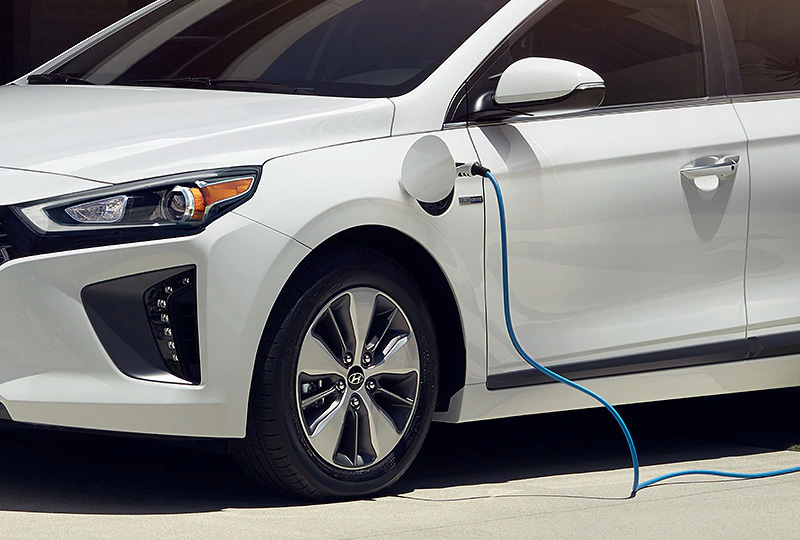 Your dream of owning a 2019 Hyundai IONIQ Plug-In Hybrid can become a reality at Hyundai of Greer! 1. Up to 29-mile all-electric range based on a fully charged battery pack with 8.9-kWh capacity and 119 MPGe. MPGe is the EPA-equivalent measure of gasoline fuel efficiency for electric mode operation. 52 combined mpg (gas). All figures are EPA estimates and for comparison purposes only. Actual range and mileage will vary with options, driving conditions and habits, vehicle and battery's condition, and other factors. Rear parking sensors let you know if you get too close to any object while backing up. And Lane Keep Assist sends an alert if you drift out of your lane without signaling. Corrective steering may also be applied, if necessary, to help keep everyone safe..